If you say Difrax, you think of baby products. 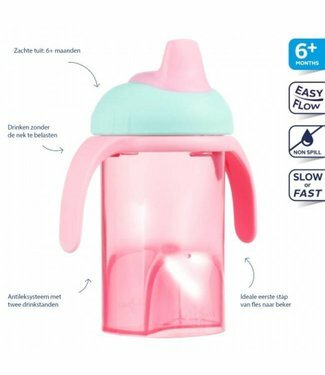 And not just baby products, but very cheerful and hip products for babies. Because we want to distinguish ourselves. We want to be different than usual, from a deeply rooted passion. 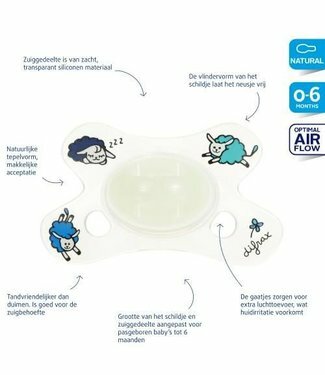 That is why we make beautiful, trendy baby products, but also innovative baby products. Always with that little bit extra, to make the life of child and parent as easy and pleasant as possible! 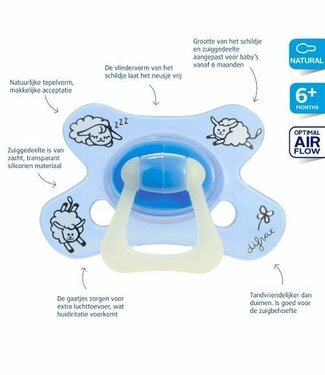 The history of Difrax starts in 1967, when Dimphna and Frank van Eijkelenborg started a trading company in baby products with heart and soul. 'Di' by Difrax came from Dimphna, 'Fra' from Frank and the X stood for the name of the (then still unknown) successor. The first products were cotton swabs and baby rattles. Later there was an extensive range of baby products. 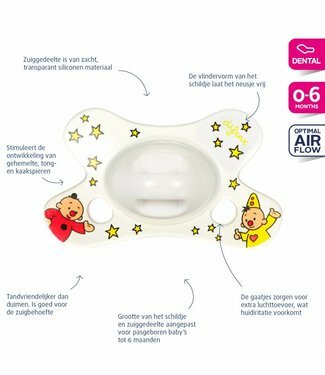 The Difrax Pacifier Dental 0-6 M meets your baby's sucking n..
Difrax pacifier Natural 12+ Months Sleepy Timo. 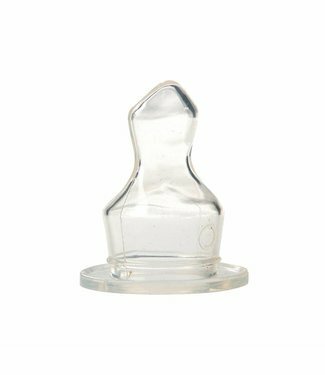 The Difrax P..
Difrax pacifier Natural 6+ months sleepy baba. 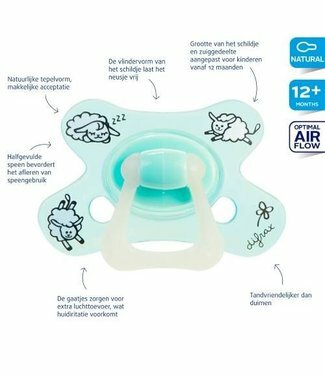 The Difrax Pa..
Difrax pacifier Natural 0-6 Months Sleepy Nina. The button o.. 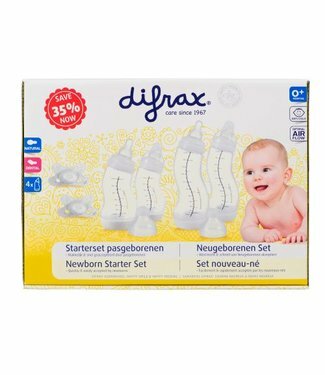 The Difrax Baby Starter Pack Newborn is the ideal maternity .. 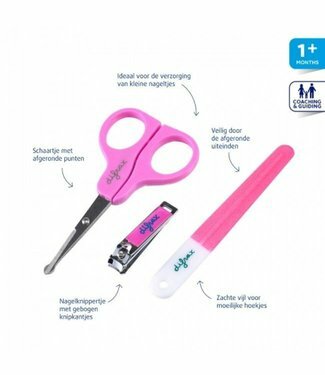 The Difrax Baby manicure set of roses is specially designed ..
Easy drinking without burdening the neck with the Difrax pin.. 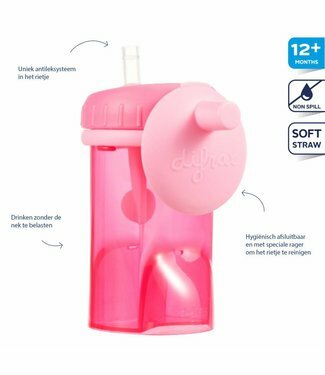 The sturdy pink package holder or brigjehouder prevents spil.. 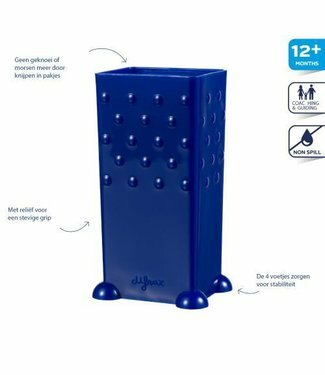 The sturdy blue Pakjeshouder or brikjes holder prevents tamp..
Easy drinking without straining the neck with the Difrax Ant.. 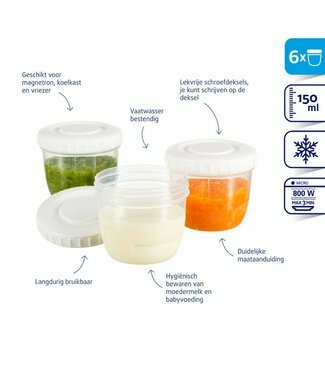 The Difrax toddler and baby cutlery consists of a fork and a.. The set of Difrax food spoons consists of two types of baby .. 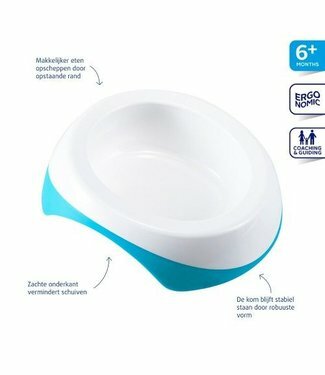 The Difrax Toddler Bowl has a raised edge so that the food i.. 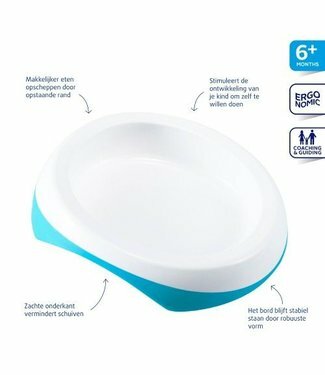 The Difrax toddler and baby board has a raised edge so that .. 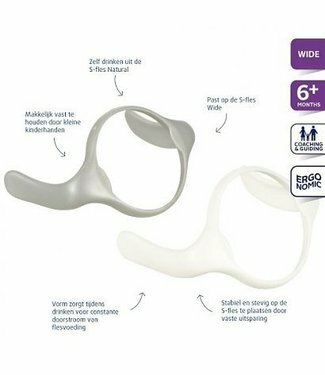 The Difrax handles for the S baby bottle Wide are attached t.. 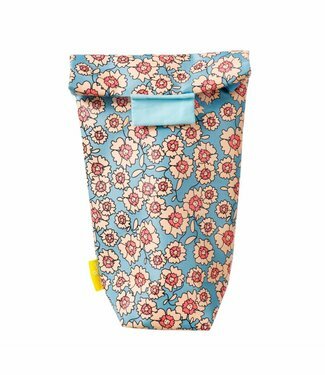 The Difrax Isolation Bag with floral pattern is covered with.. 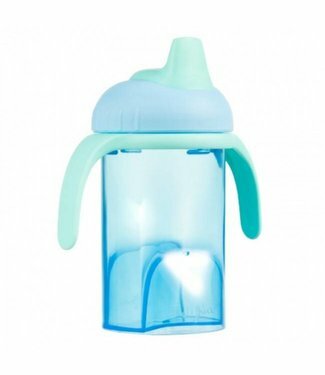 The Difrax Bottles teat Dental Small for the S baby bottle N..